A headboard is a useful piece that may give a chic look to your bed or even hide some additional storage space and lights that can be used for reading. 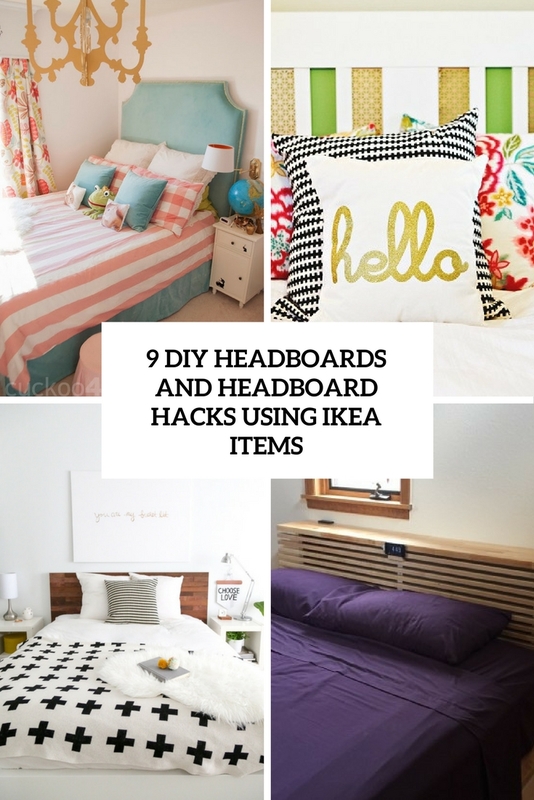 If you want to renovate your old headboard or even make a new one, IKEA is right the place to go for craft supplies. 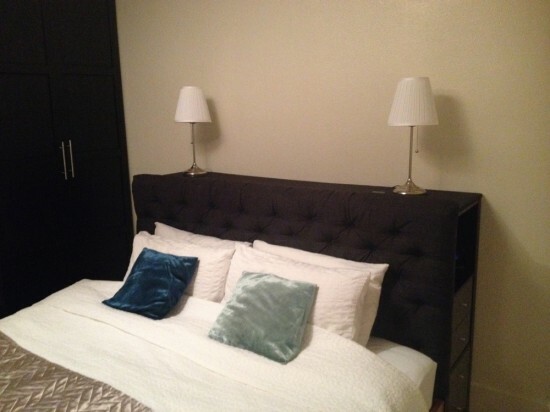 Today we are sharing some tutorials on headboards to make using different IKEA items and materials, let’s have a look at them. Give the headboard some cushy velvet padding for a boutique hotel look using a Sanela curtain as a headboard cover – looks really cool and chic! This tutorial will you how to renovate your headboard using this fabric and individual brass nail heads to make the headboard look chic and bold. Need a cool and simple IKEA hack? Then this one is for you! It involves IKEA Malm bedframe, adhesive wood and no dry wall screws. Stikwood is reclaimed wood that’s already finished and with adhesive backing on it, which is perfect for those of us that aren’t exactly woodworkers, but still want the reclaimed wood look. Such a nice craft material! This version is the same as Bissa Storage bed head, but elevated using the wooden planks to create drawers under the Bissa cabinets. This allows access to the bottom compartment and for a taller bed head. 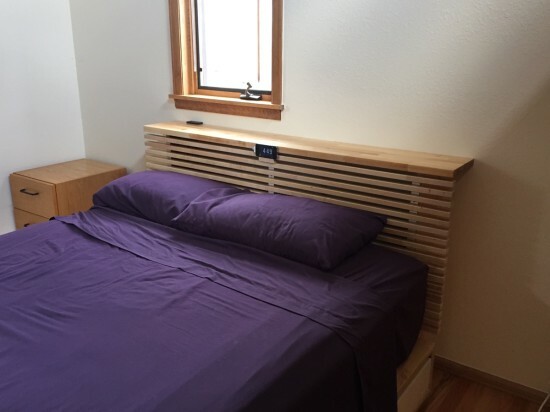 The result is a grand bed with lots of extra storage – isn’t that what we all need? This is a simple project, take a birch HAMMARP countertop to create a frame. Cut down a MANDAL headboard to the width of your bed, and bam, you have a headboard that has a nice shelf on top for toys and things. 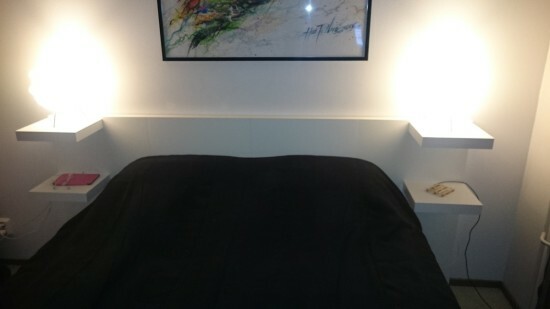 Make a headboard from the IKEA LACK tables and shelves for your bed. It will be a creative modern headboard with floating nightstands and an upper shelf with a geo look – looks very chic and interesting and offers you much storage space, plus you can add lights there if you need. 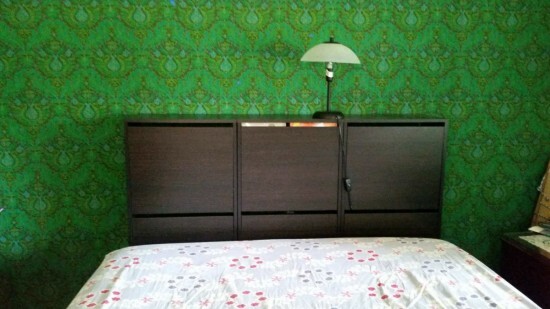 IKEA Brimnes Headboard can be turned into a colorful and interesting piece using decorative metal screens and bold paints like greens or some other shades. As a result, you’ll get a revamped headboard that perfectly complements a tailored color scheme and style. This project is fun, easy to complete and, most importantly, provides a stylish punch without the hefty price tag of customized furniture. Go ahead and splurge on those extra throw pillows and new down comforter to complete your bedroom revamp! 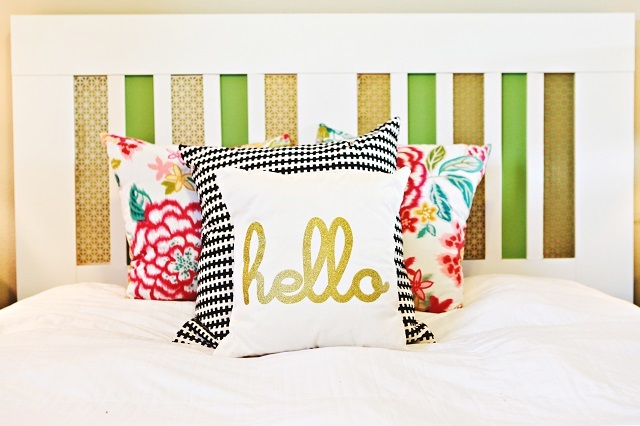 This chic headboard offers plenty of storage. You’ll need two IKEA Expedit 5 x 1 shelving units in black brown and four IKEA Expedit draw units in gloss grey. Cover the headboard with chic fabric using diamond upholstery technique, so you’ll get a chic look and storage space. 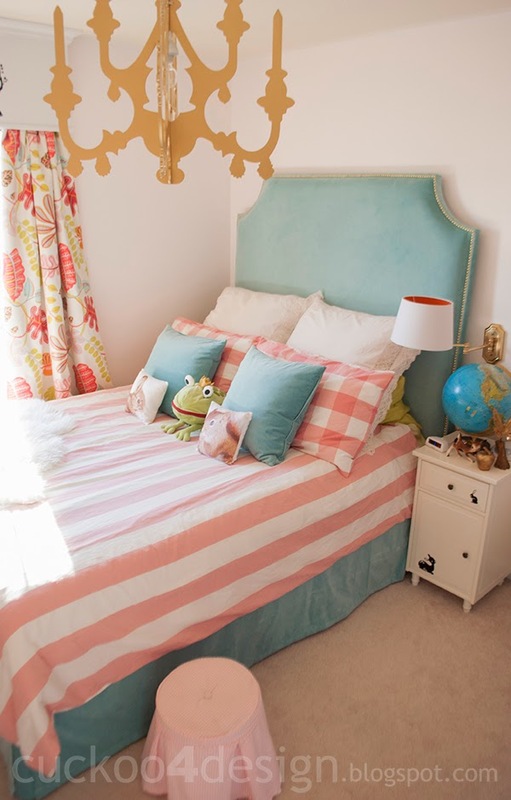 Old BILLY bookcases, dacron and a SANELA curtain can be turned into a chic headboard that will make your bed bolder. 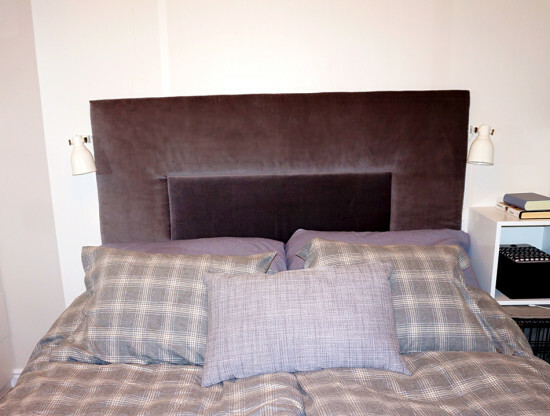 Using a staple gun for covering the headboard is a great way to make it look softer and cozier. Such a craft is pretty easy and can be fulfilled even by a starter. 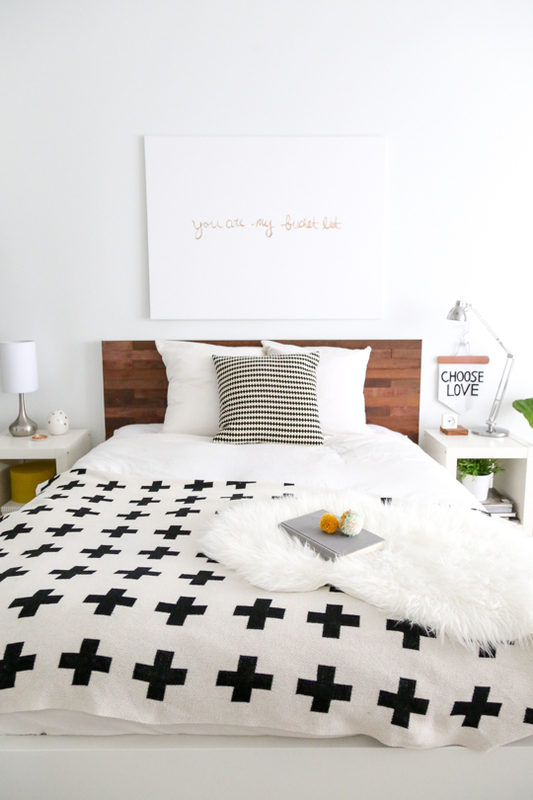 If you need a chic headboard with lights to read or just sleep with it, here’s a hack you’ll love! 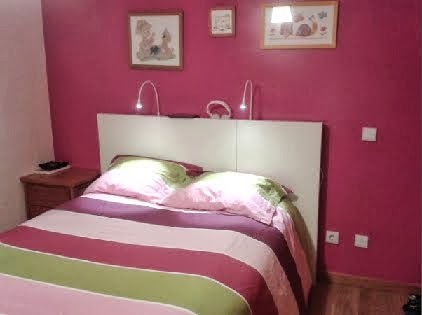 A Lack Table and Jansjo led lamp from IKEA can be easily turned into a chic and cute headboard with additional lights. Read the tutorial to find out how to make it.